We’re interrupting this page to highlight a book that has been out for just a few weeks. We have waited for months, now, helplessly watching the presidency crumble under Donald Trump. And now, 27 professionals have given their diagnosis as to why. They felt their “Duty to Warn” is stronger than the traditional refusal to analyze people who aren’t their clients. We all need to know what’s in this book, if only to make preparations to protect ourselves. Click on the image to go directly to Amazon for details and to purchase. Less Urgent Recommendations — Unless you feel you need this information right now! Read every bio of every successful person and you will find some reference to lifelong learning. In business, we call it professional development. 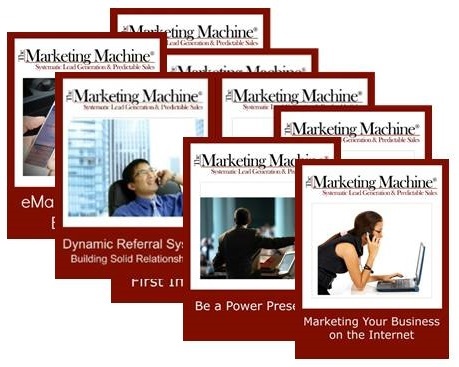 Here at The Marketing Machine®, we turn to books as a basic resource. Our library has hundreds, and adds dozens more every year. (Fortunately, some of them are now electronic so they don’t take up as much room.) These are some of our favorites. If you click on the image of a book, or the link, you’ll go directly to Amazon. There, you may find used copies at a discount, or even special deals where books are free! In any case, you’re bound to get a good, if not the best, deal. Note: we are Amazon Affiliates. If you buy one of these books on Amazon, we may get a commission, paid by Amazon. Your cost isn’t affected. If there is one book in our library that is noticeably dog-eared, it is Words that Sell: More than 6000 Entries to Help You Promote Your Products, Services, and Ideas . I use this book more than my thesaurus! Working on writing better copy? Stuck with a case of writer's block? Trying to come up with some more effective benefits language when all you can think of is features? The quintessential cheat sheet for copywriters, Phrases That Sell : The Ultimate Phrase Finder to Help You Promote Your Products, Services, and Ideas is my second most favorite idea-jogger. Saves time when writing any marketing piece, particularly useful for writing email autoresponder series -- the categories help lead you right to the next message. This is an amazing product! It takes some getting used to, and good computer capacity (at least 3 GB hard drive space) but will let you dictate lists, notes, emails and, with the professional version, even spreadsheets. Whew. Nicole Dean cleverly disguises herself as a friendly “next-door-neighbor kind of gal,” when in reality she’s a crackerjack online marketer with a vast following and years of experience in online sales. What’s important about Expert Briefs: Blogging for Profit: The Stripped-Down Naked Truth from 26 Rockin' Online Business Owners are the insights of the 26 different online bloggers she has interviewed. These are people who are actually walking the walk. A unique time-saver for all new and advanced online business owners. Marketers at brick-and-mortar businesses need to know this stuff, too. We met Roey Bannon Pimentel at an online marketer's convention, and immediately added her book to our list! It's the best we’ve seen in years about the role of design in marketing, with important tips starting on the first page. Straightforward discussion of how to use templates and free website themes, the differences between web designers and graphic designers, and, of course all the things you wanted to know about the PRINCIPLES and the ELEMENTS of design. You'll love having Graphic Design IMPACT: Design Secrets That Sell as a resource. Judy Allen has been at the top of the event planning heap for quite a while. This latest version of her book, Event Planning: The Ultimate Guide To Successful Meetings, Corporate Events, Fundraising Galas, Conferences, Conventions, Incentives and Other Special Events , will turn you into a professional if that's what you want. I was particularly pleased to note the additions to this latest version: notes on security, using technology in event planning, and how to put on a "green" event. When you're starting out -- like, at the VERY beginning of your entrepreneurial career -- it's really easy to invest in new equipment, new services, and powerful new marketing tools. And it's also really easy to create overhead expenses that can eat your business alive before it really gets started! School for Startups: The Breakthrough Course for Guaranteeing Small Business Success in 90 Days or Less helps you avoid these expensive start-up costs. Real-life stories help show how its done. I wish I had attended one of these guy's seminars in person! The Rule Book of Business Plans for Startups (Psi Successful Business Library) If you need an authoritative text and detailed information about the various different tables and charts required, then this book will hold you in good stead. Go directly to Chapter 10 and dig in. The book is particularly useful as a resource for new businesses and start-ups seeking financing. If, on the other hand, you need a brief overview of the essentials, and want to get everything you need done FAST, then consider Business Plan in a Day: Get It Done Right, Get It Done Fast! Author Rhonda Abrams also sells accompanying software, should you need more than simple excel spreadsheets. OK, the focus is supposed to be on marketing, but this book has it ALL! Nearly 700 pages make it a reference rather than a read. Have your page markers handy because you'll be using this for years. Marketing tips include targeting, using social media; I love all the checklists. It's a staple for any professional marketer. We have recommended this book to EVERY class we've ever taught to enthusiastic but unproven entrepreneurs! Author Michael E. Gerber makes the crucial distinction between working ON your business and working IN it. When I pick up my copy of Ultimate Small Business Marketing Guide: 1500 Great Marketing Tricks That Will Drive Your Business Through the Roof (Ultimate Series) I'm reminded -- yes, it truly has 1,500 marketing tips and tricks! This isn't really a planning resource. Rather, it's a huge list of quick ideas that you can use if you're needing inspiration for your own business or for clients. Do you have corporate clients? Do you have problems dealing with their marketing departments or their agencies? Need more ammunition for a powerful presentation? The 172 "myths" described by Clancy and Schulman are as alive today as they were when this was written in 1995! In the year 2001 three marketing groups in Sacramento California got together to bring Jack Canfield to town. He was promoting The Power of Focus. I got my copy then, and it has remained on the front shelf ever since. That earlier version had 10 strategies for improving focus. I can't say I've hit EVERY one with certainty. But the book has sure helped. Now there's a new version: The Power of Focus Tenth Anniversary Edition: How to Hit Your Business, Personal and Financial Targets with Absolute Confidence and Certainty It's updated for these tumultuous times. Add it to your personal collection and I think you'll refer to it often. Novak bases his leadership plan on the marketing principle of “know your customer.” Think you’re a leader? Check out Novak’s program of mindset, planning and follow-through. As a consultant you will sound and feel good quoting this book! A second classic from our collection, and one you are probably familiar with, too. Freese puts it clearly: to uncover a client’s needs, you must ask the right questions at the right time! Part II of the book focuses on developing and leveraging questions: how to use them to build credibility, escalate value, solicit more accurate feedback. He provides many, many examples. And a number of big companies testify to the effectiveness of his methods. Throughout the book Freese intersperses 155 “Secrets.” You can skim just jumping from one to the next. As a consultant, you MUST be successful at influencing people. The book’s full title is Real Influence: Persuade Without Pushing and Gain Without Giving In which pretty much summarizes the dilemma that many of us find ourselves in. What I found most useful are their four steps to – you guessed it – connecting and influencing! My favorite is Step #2: Listen past your blind spot. If you’re serious about self-development, get this book and read it. Keep it on your library shelf like we do, so you can refer to it often. The stories told by Goulston and Ullman will serve to encourage and guide, again and again. The forward of this book starts as follows: “What do NFL teams, a Broadway musical, a university childcare center, a pizza maker, a public school system, a motorcycle trailer manufacturer, a collegiate lacrosse team, and a state all have in common? If you are the consultant brought aboard to save a business, then read this book to find the PATTERNS that failing teams and companies share, and the GAMEPLAN they can follow to turn themselves around. Any time we come across a book published by AMACOM, we pause for a second look. This one is worth it. What I wasn’t expecting was the detail regarding tracking and measuring success, and the excellent observations about controlling customer “hellos” and “good-byes,” both within the walls of the business and online. If customer service is part of what you need to know more about, grab this book! When times are tough – as they have been for a number of years, now – it’s natural to want to hunker down and put up protective walls. When barriers go up within a company, progress stalls. In Breaking the Fear Barrier: How Fear Destroys Companies From the Inside Out and What to Do About It , Tom Rieger reports on the extensive research he and his team at Gallup, Inc. did, to identify “rules” people were setting to protect what they felt entitled to – even when it wasn’t in the best interests of the company. Any corporate problem solver should be at least familiar with Rieger’s six-step “Rule Audit” as a tool to break through this negative, fear-induced behavior. I’m sure you’ve heard of Zappos and of their reputation for customer service. Maybe you’ve even experienced it! If you could repeat this with YOUR company, or help your client create it . . .? This is the Professional’s Guide to Growing a Practice, by Alan Weiss, Renowned expert Consultant and author of The Ultimate Consultant Series. The classic bestseller has been revised and updated and is the one book that anyone considering a consulting career should read, absorb and use as a guide for building their business. From how to finance a consulting practice to writing proposals that sell, setting fees and more . . . this first book outlines the principles and techniques needed to start and build a successful consulting practice. Our copy has colored flags on at least a dozen pages. Process Consulting: How to Launch, Implement, and Conclude Successful Consulting Projects (Ultimate Consultant Series) by Alan Weiss, Renowned expert Consultant and author of The Ultimate Consultant Series. For a consulting practice to be profitable, like most business activities it must follow a consistent process with Milestones, Progress Reports and Triggers to signal problems. Alan Weiss, Renowned expert Consultant and author of The Ultimate Consultant Series. Your value as a consultant is in your accumulating (and accumulated) knowledge, experience and judgment. If you bill by the hour, the better you are, the fewer hours you can bill and the less profitable you become. Seems simple but is a challenge for many consultants as they become more skilled. Yet another in Alan Weiss's The Ultimate Consultant Series. The title is somewhat misleading. It’s not about getting started in consulting, but how the established consultant can build the practice by acquiring larger and more profitable clients. As the Ultimate Consultant, you focus on choosing your clients to control the nature and profitability of the consultancy as well as finding and securing work and interactions that are stimulating and educational. Alan Weiss writes on overcoming challenges and obstacles in consulting assignments -- challenges that appear as the practice matures. 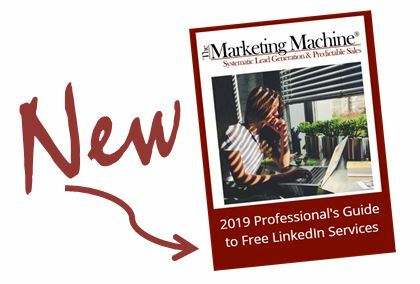 The book also shares a considerable amount of solid marketing expertise for the more sophisticated practice, including how to expand into different niches and build a larger support team. by Frederick Brooks introduced the idea that if you add more manpower to an already-in-trouble project, you will doom it. This is the original; there's a newer version, too. And while they deal with software engineering, the concepts apply to across the board. was and remains a concept that will turn your ordinar;y 9-5 mind upside down! Ferriss' secret is to outsource nearly everything -- and he explains how. He started out with a paper system called TimeDesign, which we used to the exclusion of all else in the early '90s. Then computers took over. . .